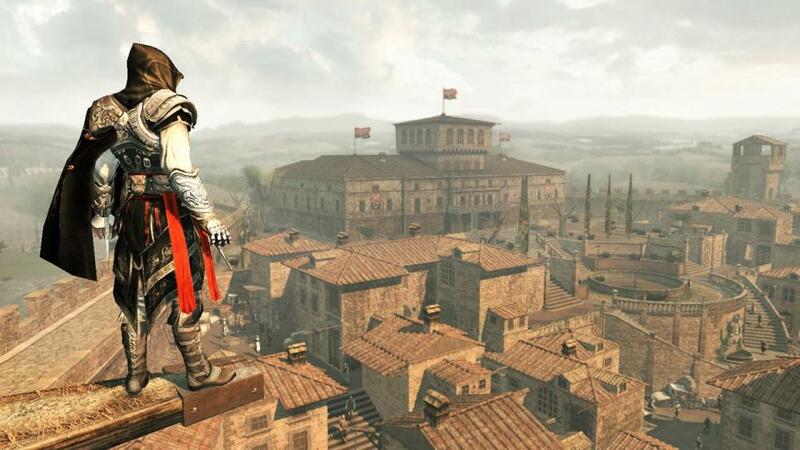 Following last year’s hiatus, the Assassin’s Creed is supposed to make its glorious comeback soon. Ubisoft has yet to talk in detail about the next entry in the series, which is, apparently, going to be set in ancient Egypt, but it seems like the game’s final name has been set. And it won’t be Assassin’s Creed Empire. A few hours ago, Reddit user Sirusavath revealed that he managed to get a look at a pre-order card created for a US retailer for a game called Assassin’s Creed: Origins. The company I work for is involved with making pre-order cards for a couple of different department stores and a few weeks ago there was a new order for Far Cry 5. There was also one for Assassin’s Creed: Origins. I saw some of the tentative artwork for the later a few days ago and it’s the Egypt game that has been rumored to be called Empire. Sirusavath also provided a description of the card, which features an assassin that looks like the one seen in a recently leaked screenshot which has been deemed fake by an Ubisoft employee. I didn’t get to look at it for long but it was art for a reservation card for a US retailer. The game is called Assassin’s Creed Origins and looks very much like it’s set in Egypt. The artwork had a city with a pyramid in the background. In the centre of the card there is the new assassin walking toward the city. It looked like he was carrying a shield, a bow, and he had a hawk of some sort on his shoulder. Unsurprisingly, the pre-order card also advertises a Gold Edition of the game, which will include a Season Pass. Additionally, there’s a good chance that the game will be announced soon, as these cards are getting shipped before the end of the month. Last bit of note is the reservation is for the Gold edition of the game which has the base game, the season pass and comes in a steelbook packaging. No idea what the price will be. This isn’t the first time that I’ve found out about a game thanks to my work and in past experiences the game is usually announced before our printer ships the cards, or shortly after. I believe these are scheduled to shipped on the 30th so the official announcement should come by then. The next entry in the Assassin’s Creed series has yet to be officially revealed, so we must take all this with a grain of salt until an official announcement comes in. We will keep you updated on the game as soon as more comes in on it, so stay tuned for all the latest news.